The silverfish gains its name from its appearance and movement. The Silverfish is a nuisance pest. 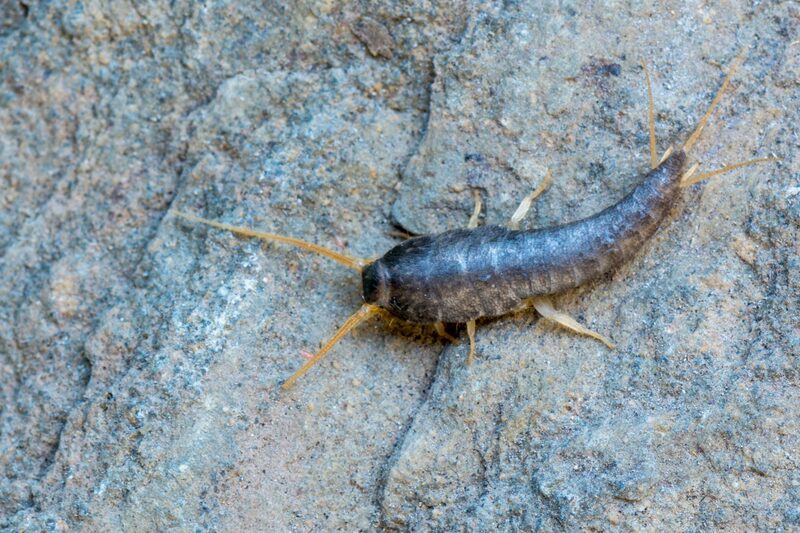 A member of the bristletail family and thriving in dark, damp conditions the Silverfish emerges at night. With an incomplete metamorphous like the cockroach, the egg hatches to nymphs go through several stages shedding skin to get larger. Silverfish are members of a primitive order of insects which moult as adults and have segmental appendages on their abdomen – both of these are features of extremely ancient insects. Being silver in colour, wingless with a flat, slender body. This insect tends to move in a fishlike manner. The adult, when mature, is around 12 mm in length. The antennae are approximately two thirds the length of the body, and there are three processes extending from the posterior end of the abdomen and other short appendages on some of the hindmost abdominal segments. A female silverfish can lay approximately 100 eggs in their lifetime. The eggs are oval in appearance and approximately 1 mm in length. The eggs change during their development from smooth white in appearance to brownish and wrinkled. In order for the silverfish to develop successfully humidity is important with 90% relative humidity being the optimum for development of the nymph stage. Moulting continues throughout the life of the silverfish and therefore the silverfish is capable of regeneration of any lost limbs. In the ideal conditions of temperature with relative humidity, moisture content, quantity and quality of food. The nymph will emerge from the egg within 40 days and will spend approximately 90 – 120 days in the nymph stage before emerging as an adult. The adult will live between 1 ½ and 3 ½ years. 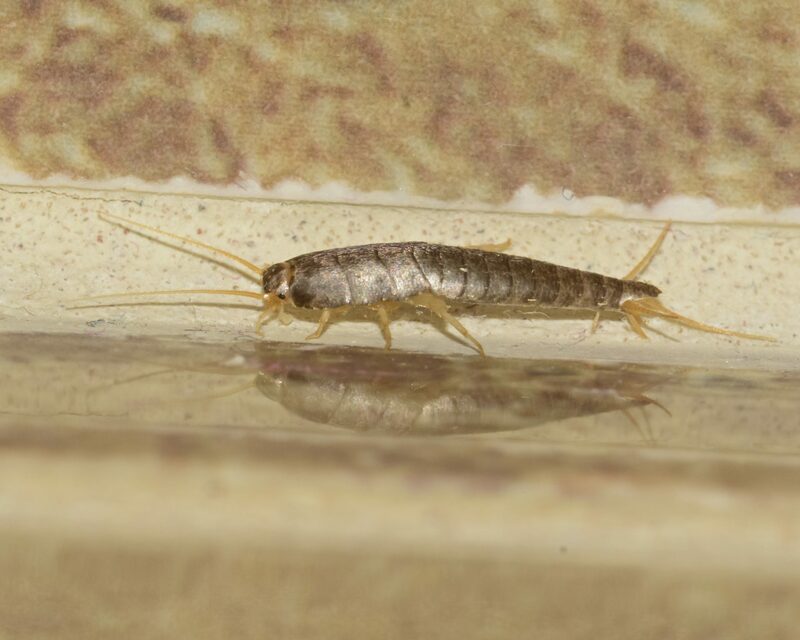 The Silverfish can often be seen in pots and pans in kitchen cupboards and will eat decaying organic matter. Therefore the Silverfish will feed on paper, glue, plaster, hair, carpets, books, wallpaper and will sometimes destroy clothing items such as leather, cotton, silk and linens. Living for up to eight years when left unchecked and in addition being able to live up to a year without food the silverfish is not the easiest of insects to get rid of once established. Treatment is undertaken by removing any infested commodities and then the application of residual insecticide to cracks, crevices, floorboards, skirting boards etc.